06/06/2014 – Portland St., Manchester. «Smallest bar in Europe». 06/06/2014 – Portland St., Manchester. «Inside bar». 06/06/2014 – Portland St., Manchester. «World flags». 06/06/2014 – Portland St., Manchester. «Corridor». Hoy, os presento el bar (refiriéndose a la barra) más pequeño de Europa («The smallest bar in Europe«). O así, al menos, es cómo se le conoce a «The Circus Tavern«. Sí, está en Manchester (UK) y el viernes tuve la oportunidad de conocerlo. Como podéis contemplar en la primera y segunda foto, se trata de una barra minúscula; dónde sólo cabe un camarero tras la barra. «Excuse me« & «please«, son las palabras más usadas por las camareras, las cuales tienen que hacer malabares (¿igual viene de aquí el nombre? sigue leyendo ;)) para servir las bebidas. Eso sí, sirven rápido y, aunque no lo parezca, es habitual ver a dos camareras al servicio de los clientes. 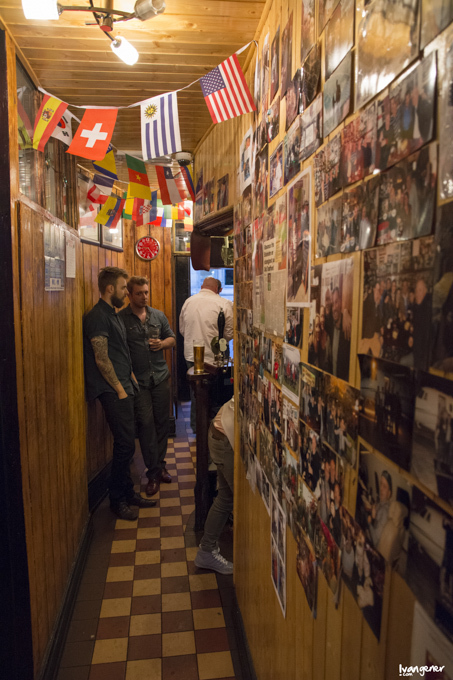 The Smallest Bar in Europe – The Biggest Welcome in The World. Lo cuál dice mucho de este bar. Un bar pequeño, con encanto y mucha historia. The building dates back to 1790 and was transformed from a house into a pub around 1840. The Circus Tavern is named so because performers from the city’s then-permanent circus used to frequent there. 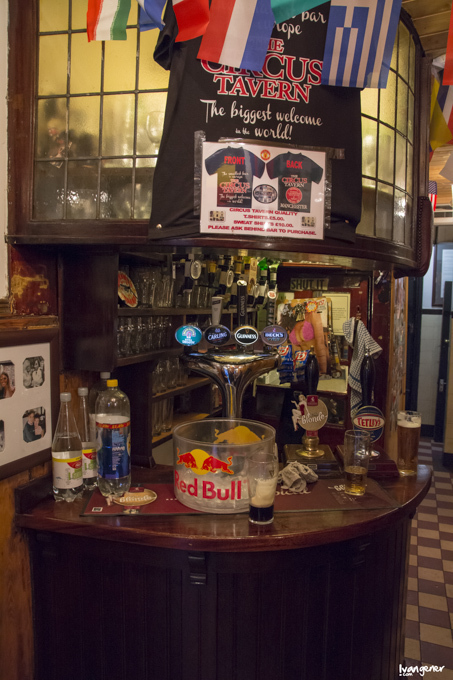 The Circus is one of Tetley’s Heritage pub and the interior features one of the smallest bars in Europe, perhaps even the smallest. 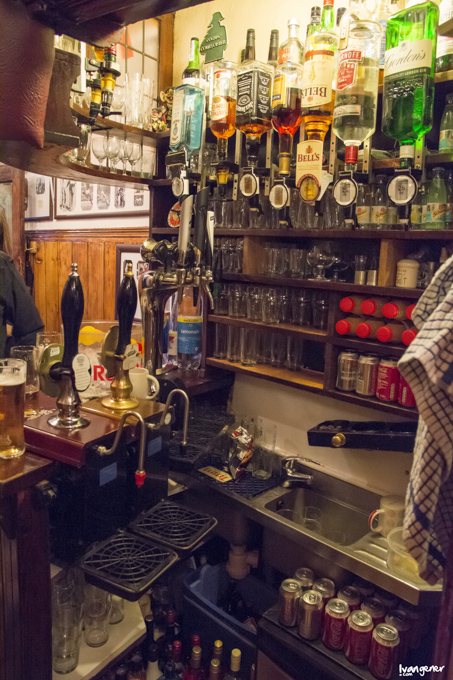 At just a few feet long, the bar is nestled in the corner of the hallway in the pub near the entrance and features a t-bar dispensing lager, cider and John Smiths Smooth along with one handpump serving Tetley’s Cask. The unusual location of the bar results in a bit of congestion. 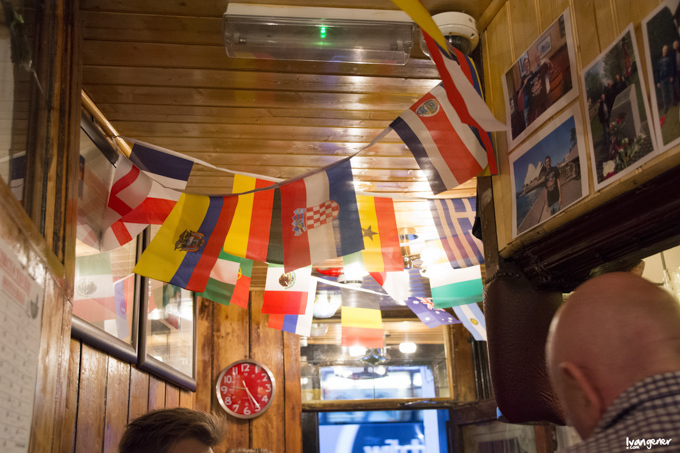 The pub is popular with football and rugby fans who quickly fill the pub before matches. The hallway is decorated with dozens of sporting photos and paraphernalia including photos of famous Manchester United footballers.